Suzuki driver Emma Gilmour is looking forward to the tight and twisty Coromandel roads as she fights to try and take second place in the Brian Green Property Group New Zealand Rally Championship. 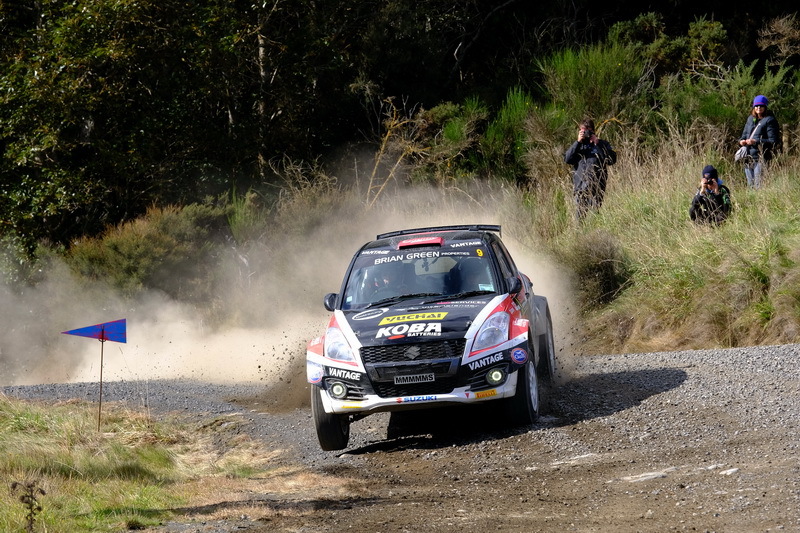 Gilmour is lying sixth in the standings heading into next weekend’s fifth round of six at the Hyundai New Zealand Goldrush Rally of Coromandel but feels her Suzuki will be better-suited to the tighter style of roads in the Whitianga-based rally. “I think our season would be looking a lot different if we didn’t have a flat tyre and then a terrible tyre change at Otago,” Gilmour said. “We were third there and lost it all on that last stage. “We had good speed in Whangarei. Canterbury was disappointing with diff problem that meant we didn’t finish. “South Canterbury we were a bit slow getting going in the morning and then it was hard work being a wee 1600 against some of those taller cars. “We are really happy with how the car is handling; happy with the reliability; happy with the driving. “Going forward it is great there are so many manufacturers in the sport but I do think we need to be working towards a bit of parity. WRC star Hayden Paddon looks to have control of the championship – he holds a 33-point lead over Josh Marston heading to the penultimate event but the battle for second is fierce. Just 23 points separates Marston in second with Gilmour in sixth while that gap will reduce when the worst round is dropped for each driver. Ben Hunt, Nathan Quinn and Matt Summerfield also find themselves in the dogfight for second and Gimour thinks this year – with Paddon doing the full championship – the second place prize is highly sought-after. “To be fair that is always the goal. If you are getting on the podium then the championship takes care of itself. “That is our goal. We are always improving the car and trying to make it better.